Before making the first to-do list, have an honest conversation with your fiancé about the type of celebration you both want. Do you see yourselves having a sunny outdoor wedding surrounded by guests? Would you like a lavish event, or do you prefer a more affordable reception venue? 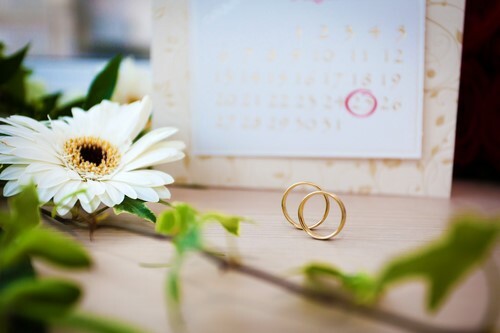 Establish a plan for your big day to help stay on track when wading through a host of details. The additional stress of planning your wedding while balancing a busy work and home life can make you feel exhausted or irritable. Stay aware of your feelings to recognize when you need a break from planning. Take time for a relaxing activity such as a quiet walk with your fiancé, an evening with friends or a luxurious massage. Feeling rushed will only make the planning process more stressful. Tackle big tasks, such as finding a local wedding venue, early in the planning process to make it easier to focus on smaller details afterward. When preparing for your big day, it can be easy to feel like you have to meet many different expectations. Seeking input from family and friends is a great idea, but it’s important to recognize that you don’t have to please everyone. Remember, it’s most important that you and your groom are happy with your wedding day plans. When feeling pressure to make decisions and sort through details, it can be easy to lose touch with the best part of planning a wedding: marrying the love of your life! If event planning starts to feel too burdensome, take a step back and remind yourself that your big day is about honoring your love for each other.